Spooky Day, the time when the line between sims and ghosts becomes blurrier as if it is not blurry enough already. Children prance down the hall with funny looking costumes. Orange, black, and purple are the colors of the season. But most importantly, is to throw or attend an incognito party which hopefully will be remembered for years. 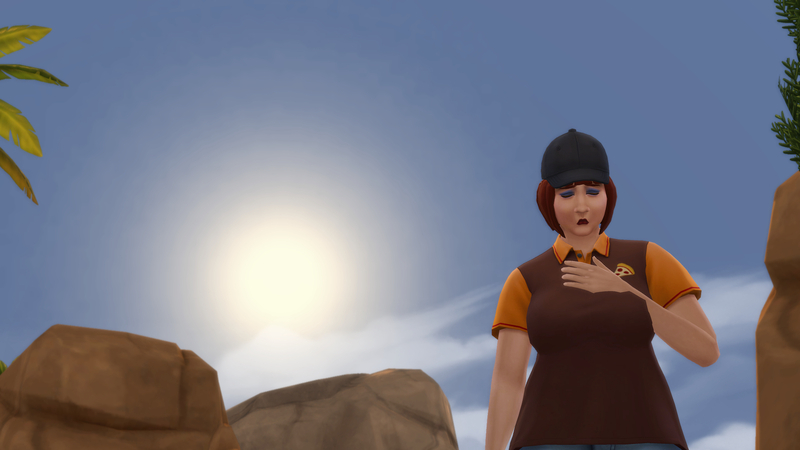 The SMT received an invite from a comedian star of the Oasis Springs, Amber Stein, to attend her party. Our reporter gives you a sneak peek of how the night unfolded. Dressing a polo shirt with a pizza image on it, Stein decided to impersonate as a delivery girl. “You know what, I expected more sims to show up,” says Stein. “And I blame the Civic Event Invitation System for it; I mean, we should be able to invite in advance so that sims can save the date.” Apart from our reporter, the only attendee was George L’Ernitage the scientist. But that does not mean the three cannot have some fun. According to Stein, the decorations of your house is essential for a successful incognito party. 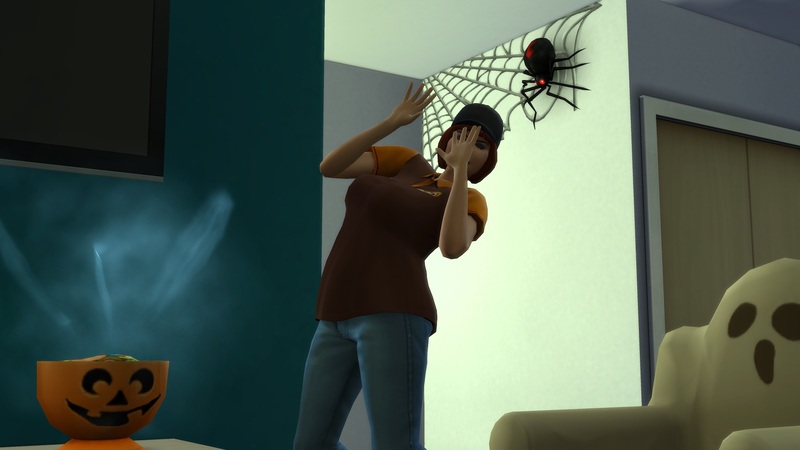 Spiderweb wall stickers, spider plushies, torn tablecloth, these are just a few items that are used in the party. “I even bought a scary-looking painting from Simizon, and let’s not forget the candy bowl which can spook the llama out of you,” Stein adds. 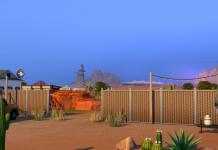 The said painting features a family of three, of which their heads disappear for a few minutes then reappear, startling any sim who is looking at it. However, low attendance was not the only downside of the party. 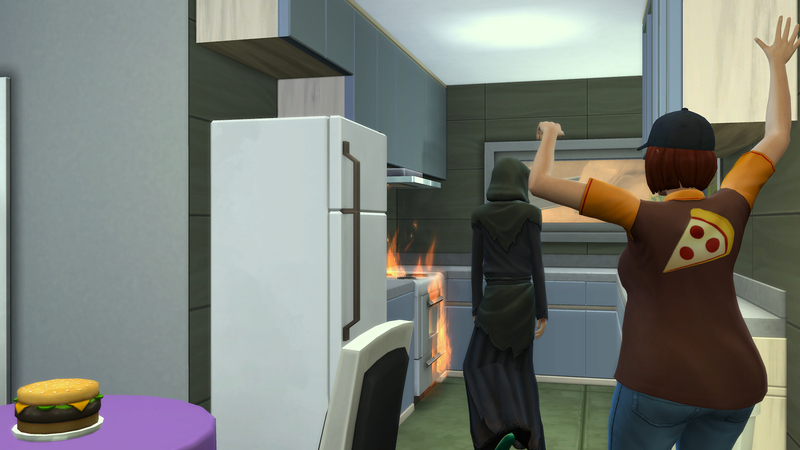 In spite of her hard work giving the room a spooky flare, Stein accidentally started a fire while baking a batch of spooky cookies. The flame quickly spread out into the living room. Fortunately, Dr. L’Ernitage was able to put it out before the fire consumes the whole place. Unfortunately for Stein, her supposedly “hot and fun” party was literally “hotter than that time Hank Goddard caught on fire.” She had to end the party prematurely, as her house is, well, too spooky for Spooky Day. Sadly, our report ends here. Nevertheless, if you wish to help Stein rebuild her home, contact her directly or go see one of her stand-up shows. Hopefully next year we can cover another party that is less tragic than this. Happy Spooky Day from all of us at the SMT! 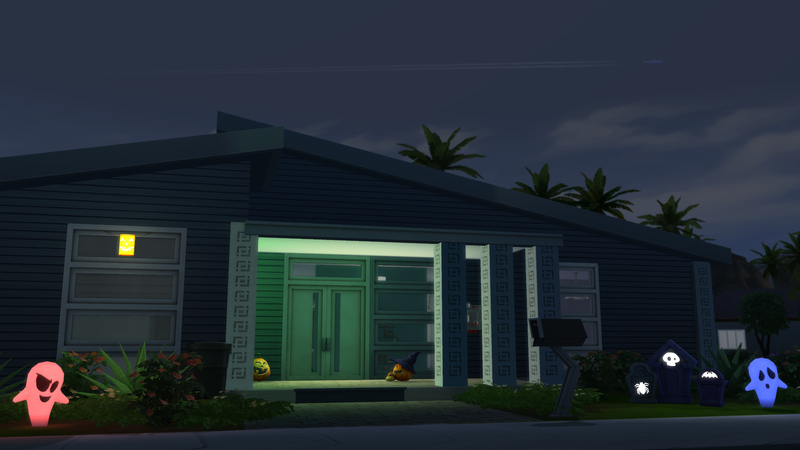 Next articleHappy Halloween From SimsVIP!